BANGOR, Maine — Independent U.S. Senate candidate Angus King, viewed by many as the favorite to win Olympia Snowe’s seat, is again taking heat for putting off questions about which party he’ll caucus with and suggesting he may not accept committee assignments. Asked by MSNBC’s Chris Matthews which party King might caucus with if elected, the former two-term Maine governor seemed unconcerned about making a decision anytime soon. At least one of his opponents, Republican William Schneider, said King is making a mistake by even considering that option since so much of Congress’ work is done in committees. 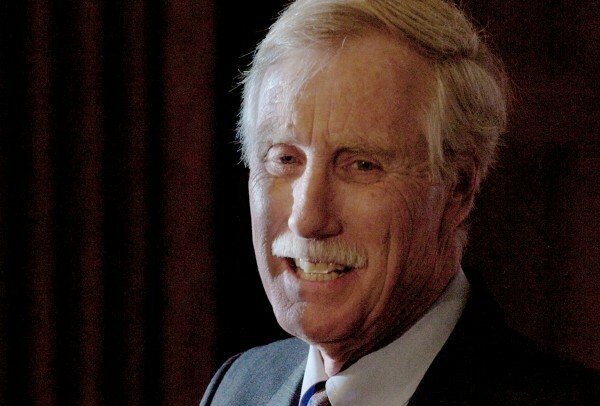 “Without committee assignments, Angus King would be half a United States Senator,” said Schneider, Maine’s attorney general and one of six Republicans seeking his party’s nomination. “He would be giving up a huge opportunity to represent Maine’s interests with federal agencies and throughout the legislative process. University of Maine political scientist Mark Brewer agreed that it would be risky for King to avoid any committee assignments, but he’s not convinced that will happen. In fact, King said just that that as his interview with Matthews continued. That comment was seized upon by the Schneider campaign, too, which pointed out that Senate rules — not the U.S. Constitution — govern committee assignments. Since King announced his intent to seek Snowe’s seat, many have speculated about who the independent would caucus with if elected: Democrats or the Republicans. Most observers say King aligns more with Democrats but he has been careful to maintain independence so far. Crystal Canney, spokeswoman for King’s campaign, said political watchers are paying attention to those sorts of things, but Maine voters are not. She shared a story of a recent visit by King to Becky’s Diner in Portland. One patron shouted to King from across the restaurant “I don’t care who you caucus with, I’m behind you,” according to Canney. Although there are six Republicans, four Democrats and three independents seeking the U.S. Senate seat for Maine, King is the marquis name and that has meant more scrutiny, Brewer said.